How does over-the-air technology (OTA) enable innovative solutions for carmakers? How do OTA software and firmware updates work? This whitepaper looks at the benefits of OTA updates to drivers and manufacturers. 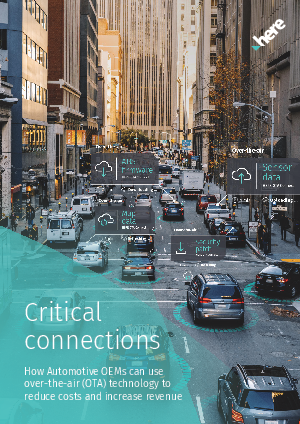 It also examines how design challenges are overcome, how updates are secured and how OTA technology could be deployed across a fleet of vehicles. As the world’s leading location platform in 2018 (Source: Ovum and Counterpoint Research annual indexes) HERE is supporting auto manufacturers to develop the navigation services for the future and guide drivers safely and efficiently to their destinations.